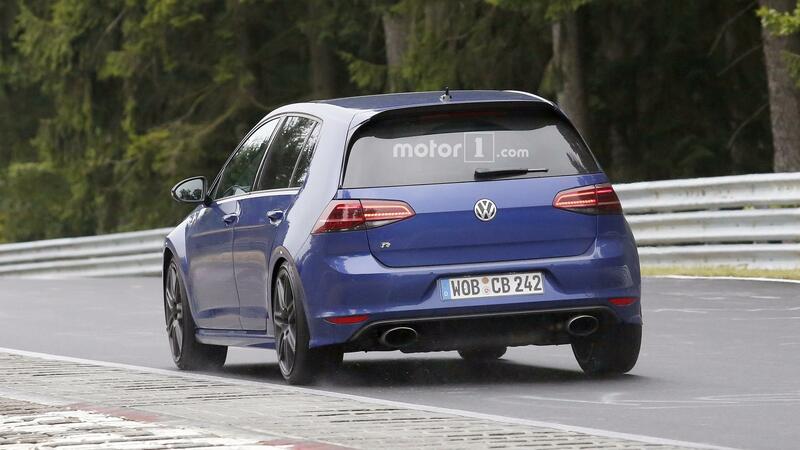 New Golf R420 has a 5 Cylinder? Not confirmed, but could it be the same engine as in ours...? @T-800 what do you think bud? No doubt if a Golf came out with our 5 cyl engine it would hurt the value of our motors though? Old news...it will not happen. This has been a rumour for ages I’m afraid. This will NEVER happen. Ever. Synonymous with Audi and Audi only. No chance. Owner will have dropped a RS3 engine in if there is one in there. Hats off to him if he has. I think the Golf R is an excellent car as it is, having the 5 pot would make it sublime. I can't see Audi letting VW have the 5 pot for a production vehicle. With things like 35k SUVs (Seat/VW) getting the Golf R motor hard to imagine future Golf Rs keeping the same power unit with the same power. Would devalue the Golf R brand quite a bit imo. Would be great if they did put a 5cyl lump in it (they have been previous V5 VWs of course, wife had one) but i think it will be a mild hybrid spike to the next R instead. Whilst this is only a VAG mule that's been dragged out for some reason, there is definitely a Mk7 Golf R out there that's been fitted with a 5 cylinder engine by a tuner. That uk car is Dave, if you don’t know him/his car then you must not be from the tuning scene. His car is hypercar level quick. I was in Maidenhead a few months ago and a GR blasted past me (I was in traffic ); it was definitely a 2.5 transplant. Sounded exactly like the RS3 as it went past. It's an old video and motor1 just republished it lol. Definitely nothing to do with VW. It's an owners car and he's just put the 2.5 lump in. There's no testing or anything, the guys got a yellow L on the back, he's just learning the track with an instructor lol. I'd really doubt they'd make one this late into the car's lifecycle. I'm pretty sure the next A3/Golf will be out next year. Maybe it'll be announced before the end of the year.